Both museums, usually closed on Mondays, will be open on December 7th to offer visitors to Florence over the long holiday weekend (remember the 8th is the day of the Immaculate) the chance to visit. The Uffizi and Accademia will be open from 8:15am until 6:50pm (last entrance for the Uffizi is at 6:05pm while for the Accademia it is at 6:20pm). Normal admission cost applies. The day, being a special opening, cannot be booked online – it can only be booked by phone at 055-294-883. 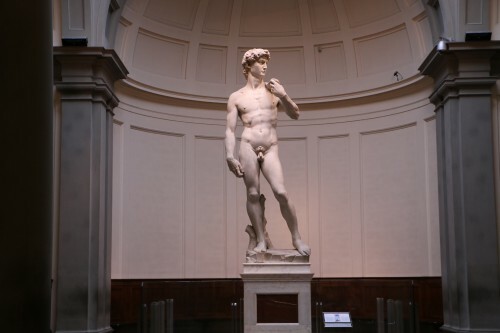 Also remember that the day before, on December 6th, entrance into these two museums but also to other State museums in Florence (such as the Medici Chapels and the Bargello), will be FREE entry to everyone as part of the “Sunday at the Museum” initiative where the first Sunday of every month is free. If the line is too long on Sunday, we really suggest waiting and going on Monday.